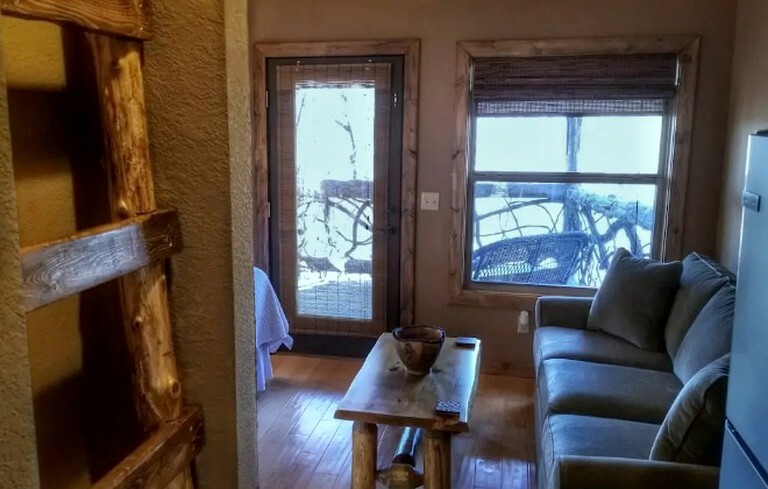 In the living room, guests can relax on the comfortable sofa while watching the flat-screen television. 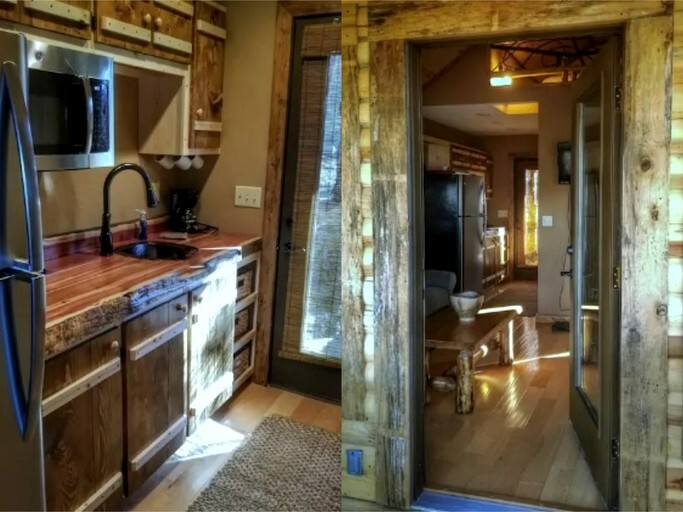 The fully-equipped kitchen comes with a refrigerator, a microwave, and a coffeemaker. 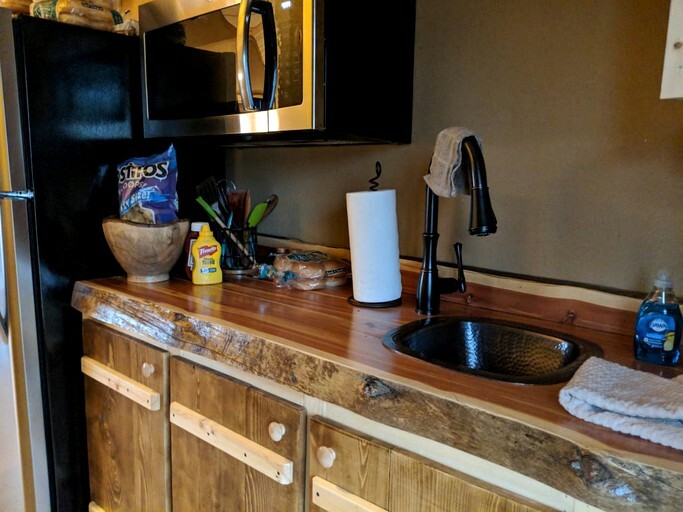 Guests will find plenty of dishes, cookware, and utensils for preparing meals from the comfort of the tree house. 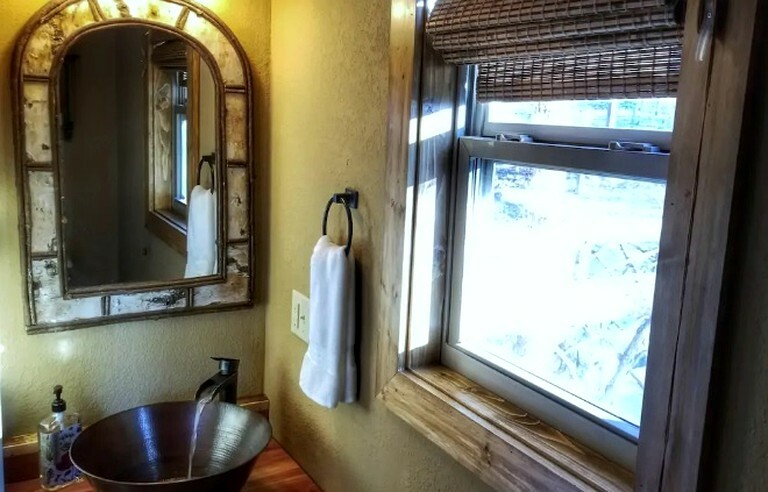 Other amenities include Wi-Fi, air conditioning, central heating, and on-site parking. 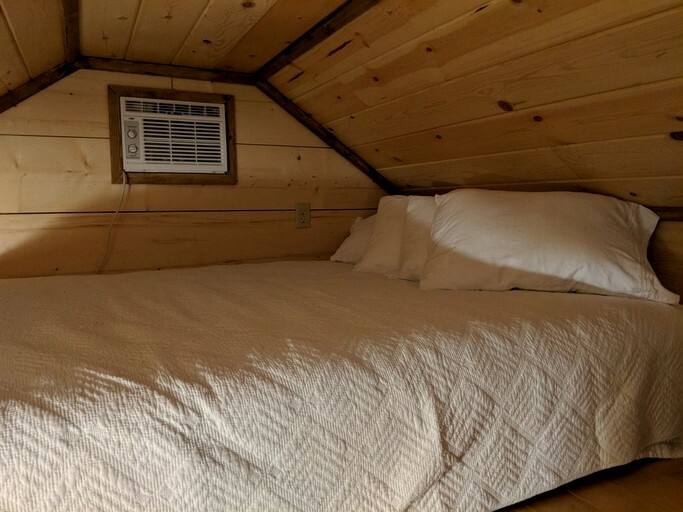 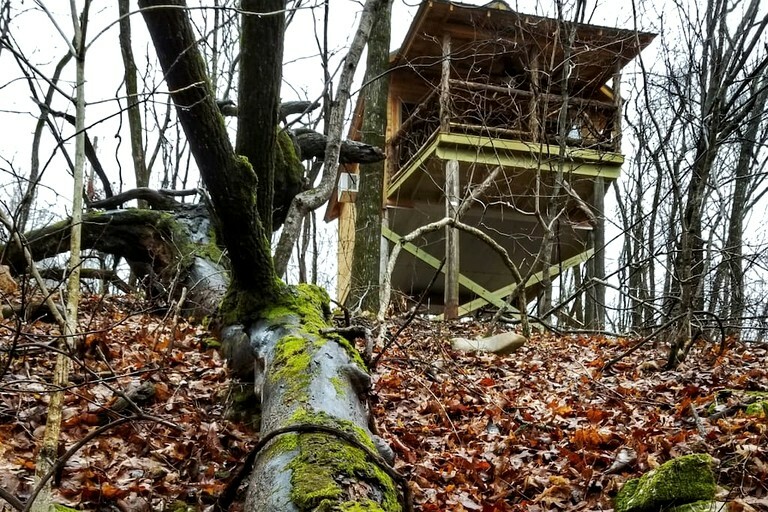 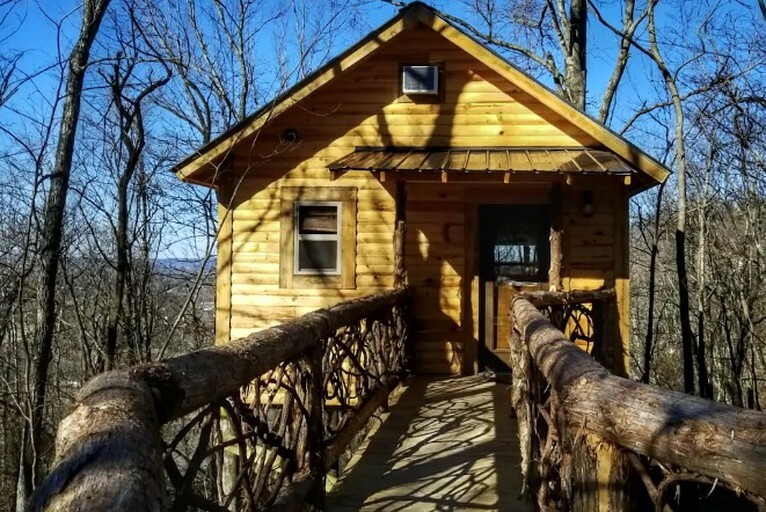 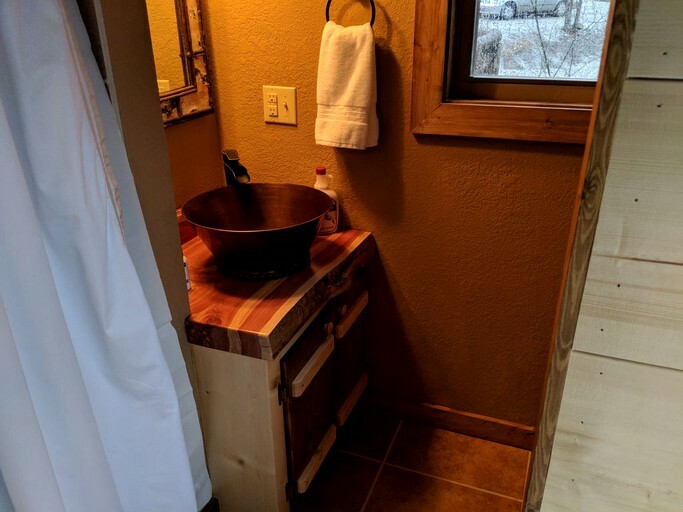 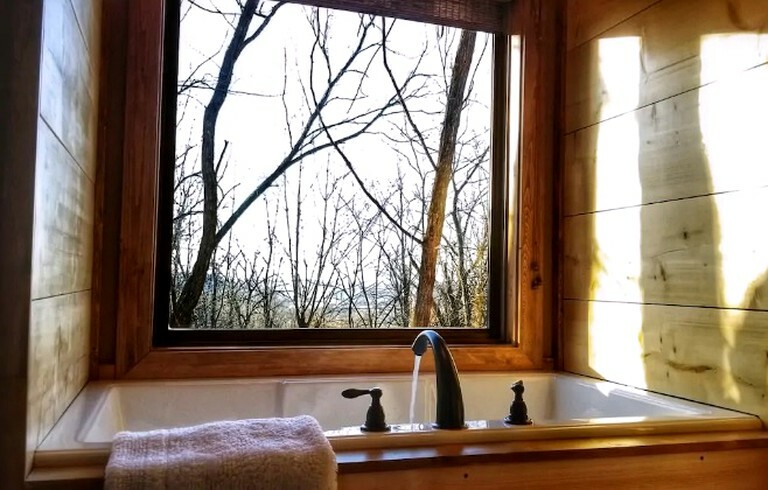 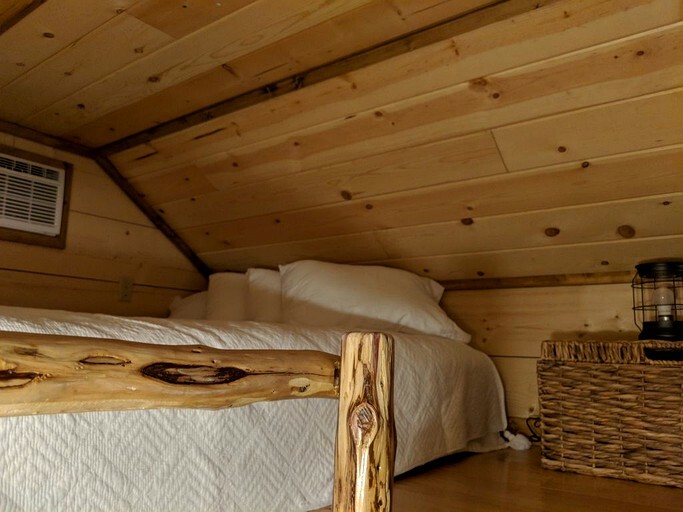 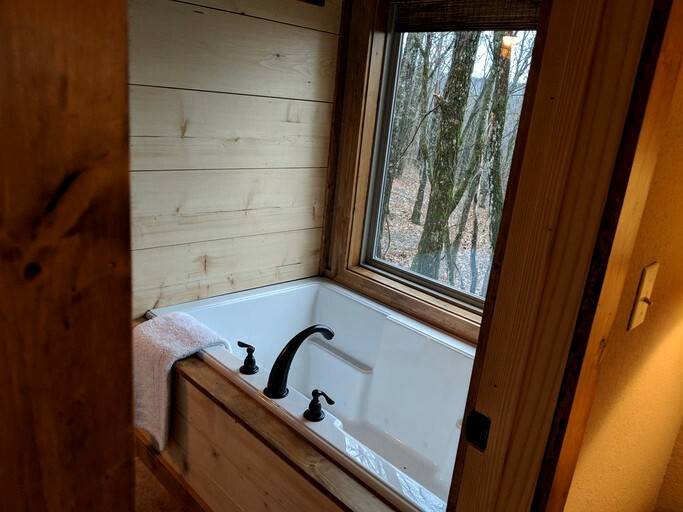 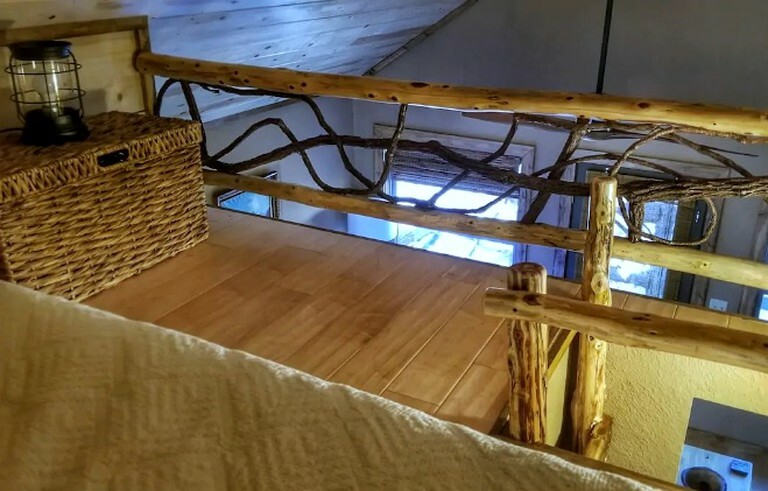 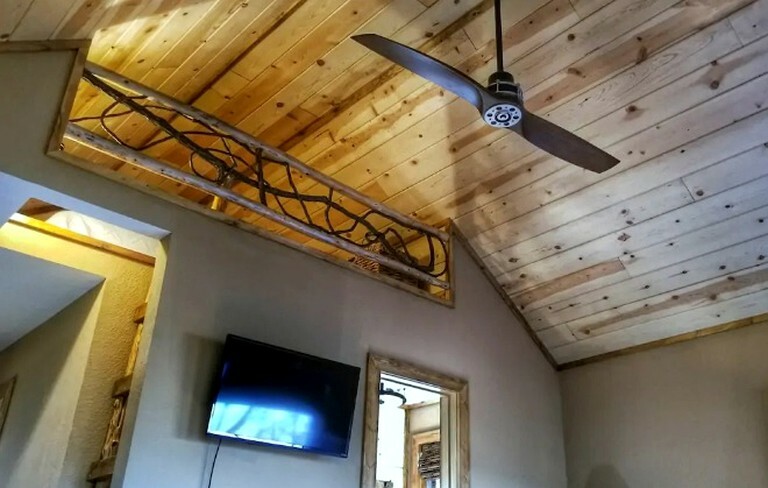 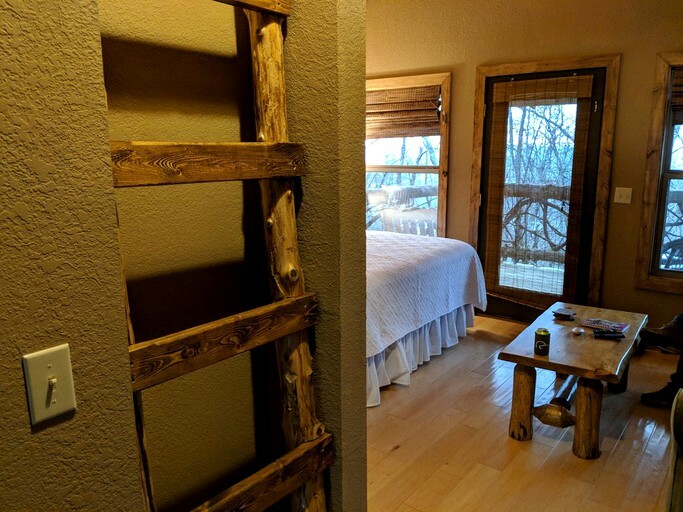 Glampers at this unique tree house will enjoy all the amenities necessary for a comfortable and relaxing getaway near Ozark National Forest. 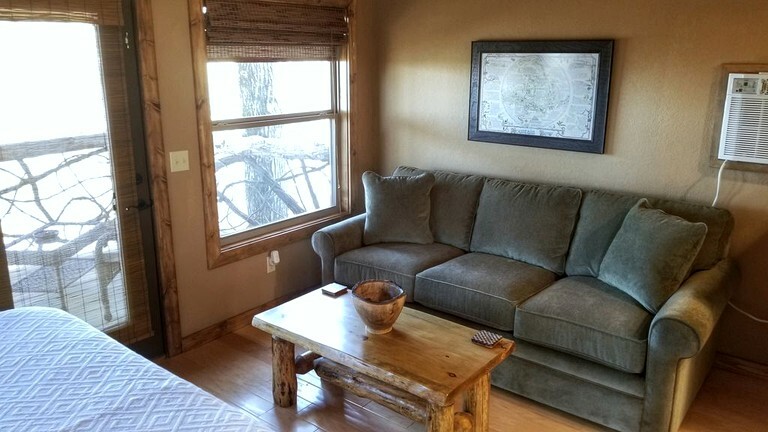 The common area features a comfortable sofa and a flat-screen television. 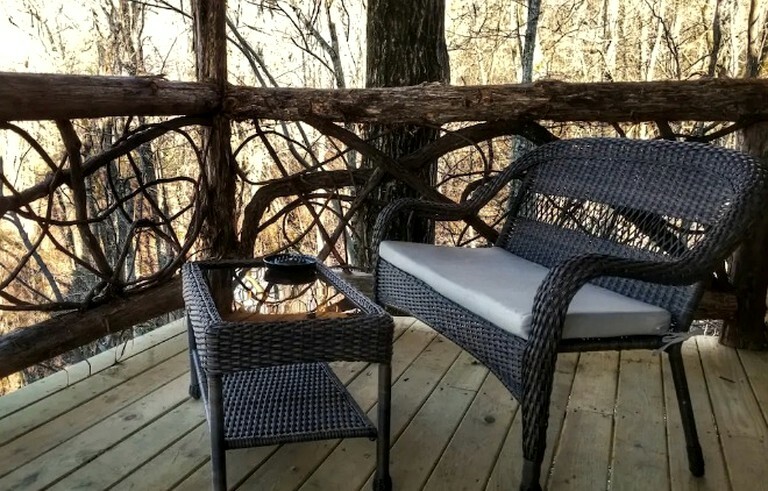 Outside, guests will enjoy plenty of space for outdoor relaxation and recreation. 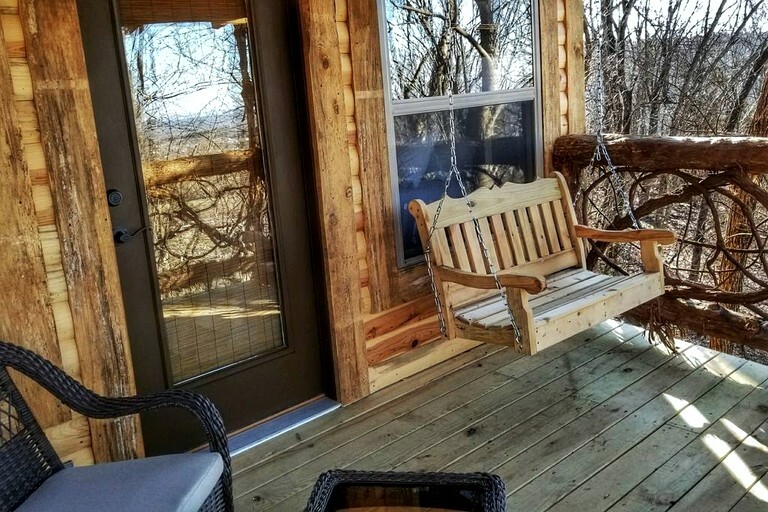 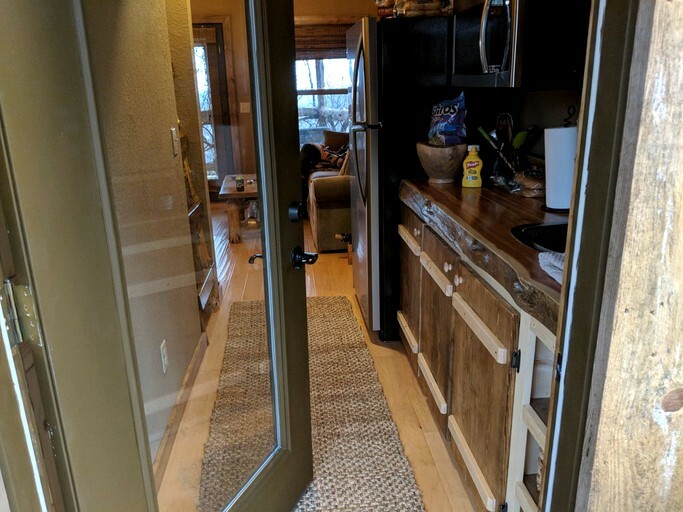 Guests can enjoy the views from the back deck complete with a porch swing and comfortable patio furniture or head to the front yard for an evening cookout on the barbecue. 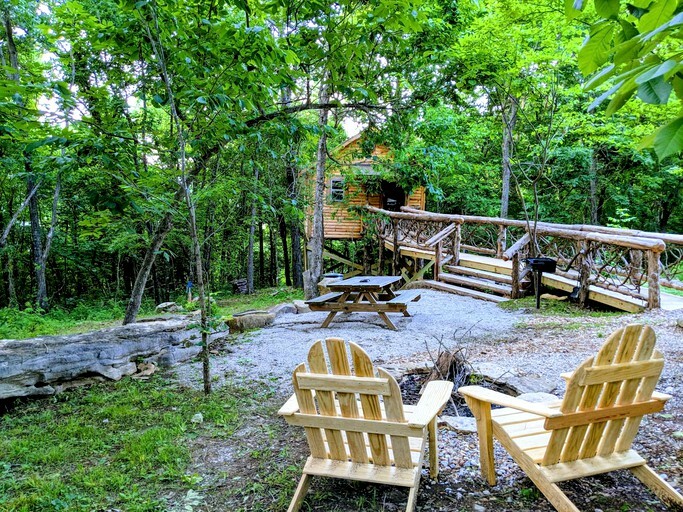 The yard also features a picnic table and two Adirondack chairs where guests can sit back and take in the peaceful sights and sounds of nature. 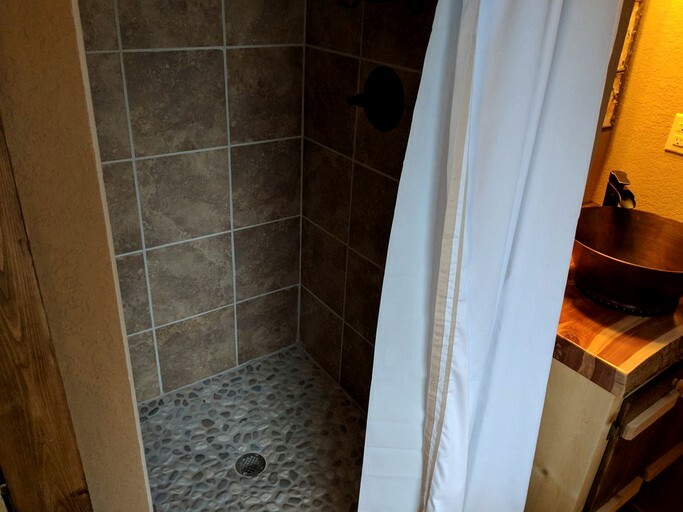 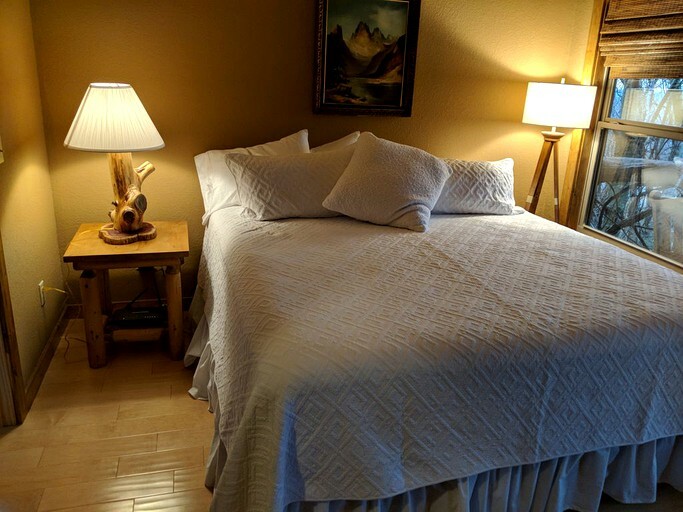 Other amenities include Wi-Fi, air conditioning, heating, and on-site parking. 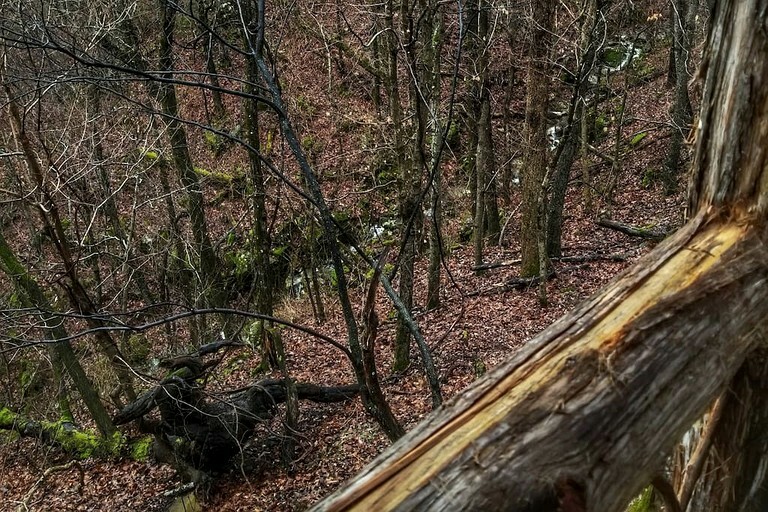 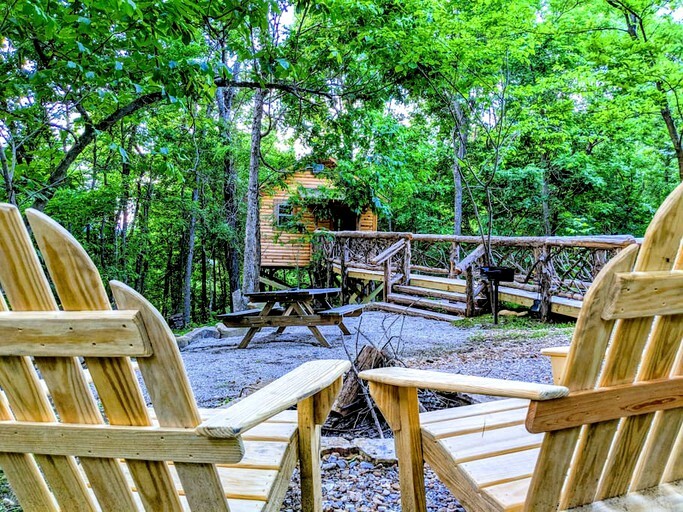 Guests will find a variety of outdoor activities to enjoy in the Ozark area. 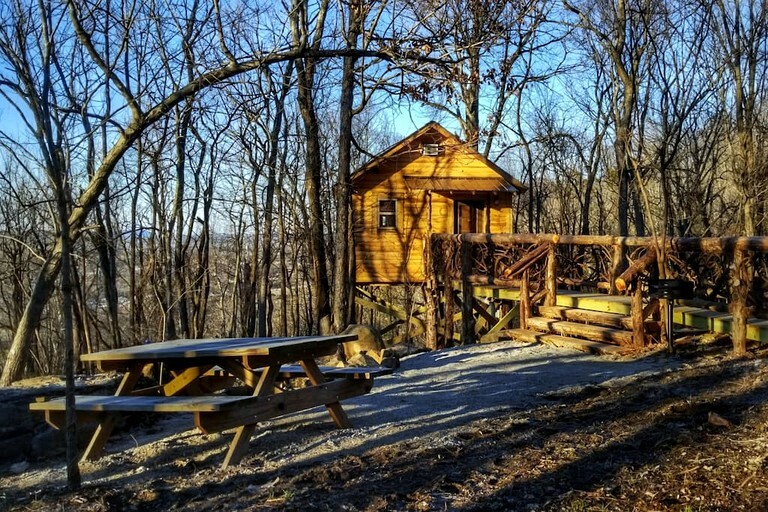 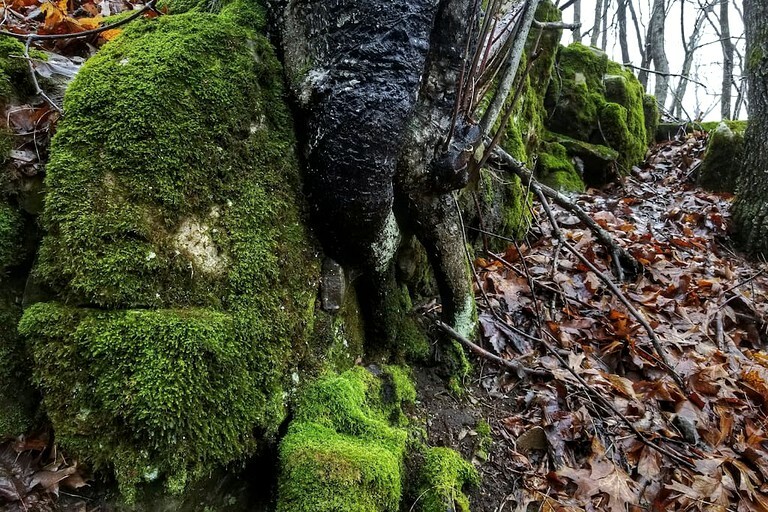 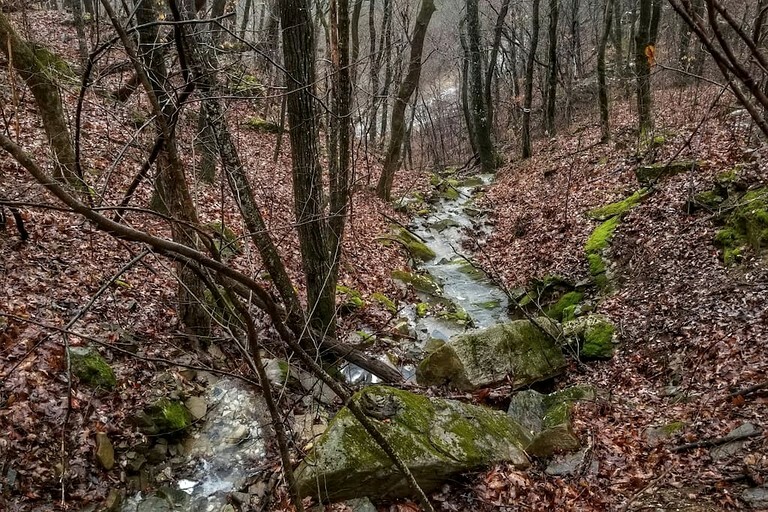 At Ozark National Forest, glampers can explore miles of beautiful hiking and biking trails, waterfalls, and scenic overlooks. 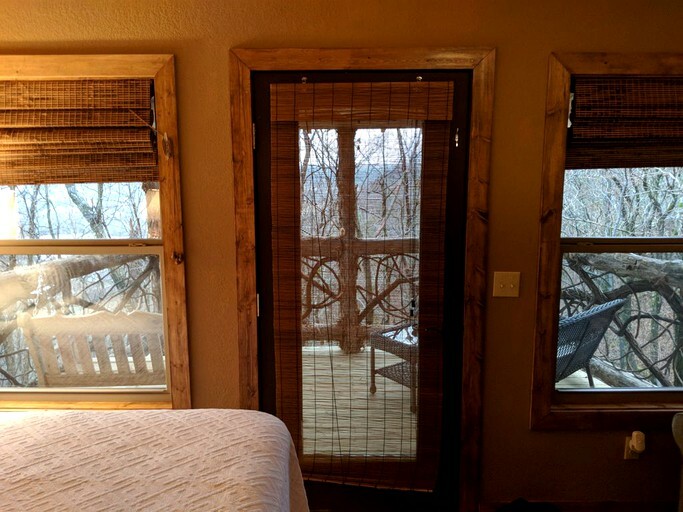 For a day on the water, guests can head to the nearby White River or Buffalo National River for fishing, canoeing, or kayaking. 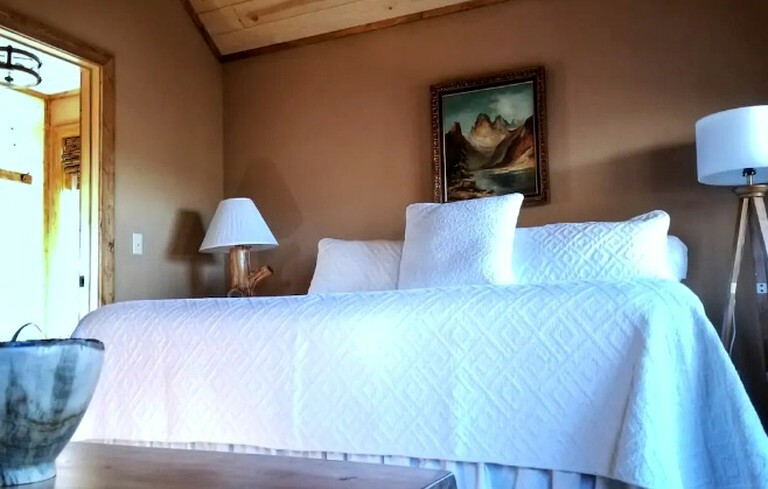 The town of Mountain View is also a wonderful place to visit and dine in local restaurants. 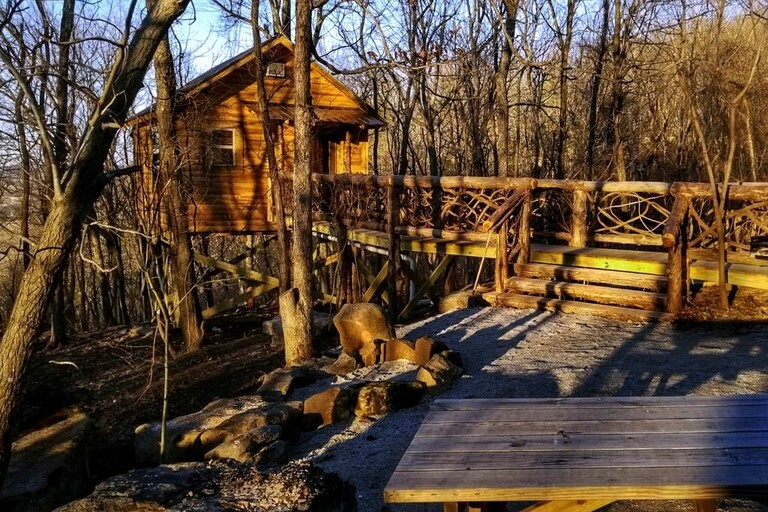 Adventurous glampers might like to visit the Loco Ropes adventure park in town where they can spend the day zip-lining through the treetops or enjoying bridge walks and ropes courses. 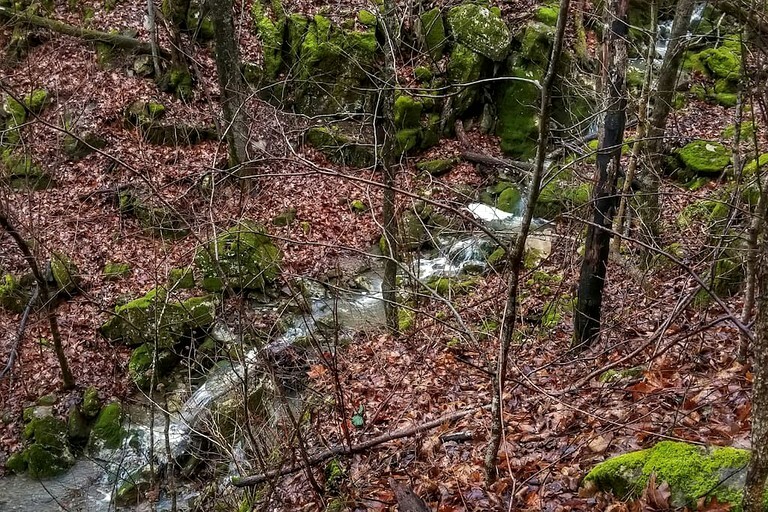 Other popular activities in the area include visiting the Stone Drive-in Theater for a movie night and attending the Arkansas Folk Festival in the spring. 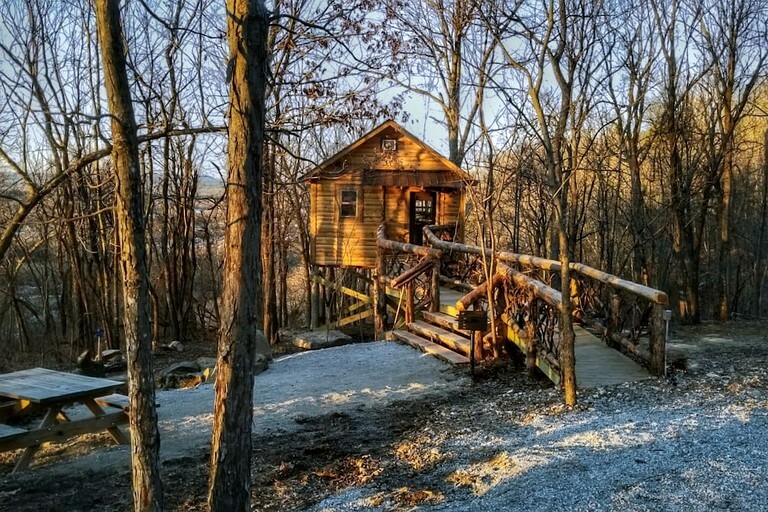 From relaxing on the deck back at the tree house to getting out and exploring all that the Ozark region has to offer, there’s never a dull moment in Mountain View, Arkansas.